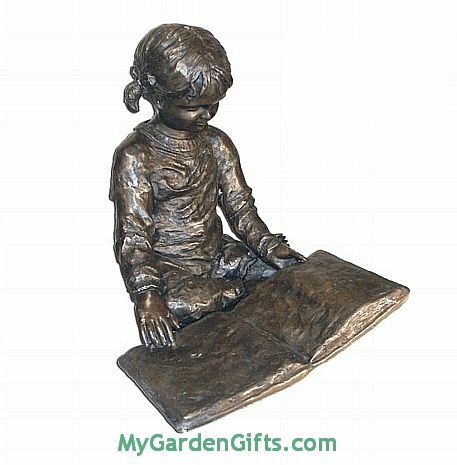 Sometimes, the best book are the big ones and this bronze sculpture of a little reading girl is an adorable sculpture for the home or garden. It can also be used to highlight the virtues of reading in a park or library and will surely add a sweet theme to the place as it highlights this adorable child gleaning her read from a book so large that she has to place it on the ground. Bronze. Hand finished.